Got a lot of clothes in your closet that you want to get rid of? Check out this Tradesy review to learn how to earn some money and clear out some space. According to Forbes, the market for resale is projected to double. 44 Million women shopped secondhand in 2017, up 9 million from 2016. In 2017-2018, the growth in the leading resellers is forecasted to be 49% vs. 7% for off-price retailers. Due to the popularity of buying secondhand items on mobile devices, this industry is expected to continue growing for many years to come. So how can you benefit from this news? The popular resale site Tradesy is here to help. Tradesy is a resale site that makes selling used clothes and accessories quick and easy. Only authentic designer and name-brand fashion is sold on the site. This is great for sellers who want to reach customers that understand the worth of the product. Likewise, buyers benefit from getting high-quality items at a much more affordable cost. Is it easy to sell on Tradesy? Listing is a simple process that takes under 60 seconds. Even better news, to make your product more sellable, they will enhance your product images for you. As long as you are selling a good condition item, they will let you list anytime and anywhere. Another process that Tradesy makes simple is shipping. You can ship anything, with the exception of wedding items, with a free kit. With each sale you make, Tradesy will send you a pre-paid, pre-addressed shipping kit for your items to be sent to the buyer. Not only does this make the process easier, but it makes the presentation better. The packaging looks nicer than a generic post office box. Like all resale services, how much money you earn depends on the effort you put into it. One thing that factors into your earnings is commission. Tradesy has a flat commission fee of $7.50 for sales under $50. For any sales that over that price, they use a commission rate of 19.8%. All earnings can be withdrawn using ACH transfer, PayPal, or a debit card. “My mom gifts me a lot of clothes and accessories from brands like Coach, Michael Kors, etc. for birthdays and holidays that are just not my sale style, so selling those items on Tradesy has been around $200 of what I’ve made so far. However, everything else I’ve sold has been stuff you’d find at an average department store or mall with brands like LOFT, American Eagle, various TJ Maxx brands, etc,” said one Reddit reviewer. To help you earn more money, Tradesy shows sellers what kind items are in demand and what aren’t. For instance, currently, Tradesy customers have a high demand for handbags and jewelry. If you have brand-name purses or high-end accessories, this is the perfect time to sell on the site. “I just sold some Valentino shoes that were over $800. They hold the buyers $$ for you, once they receive the item and approve they release the $$ to you. They take a fee for each sale.” Reddit user Wino_wine said. There are many ways to help your items sell. Take nice photos. Since Tradesy crops the 1st photo, make sure it stands out in a good way. Don’t be afraid to list items that are from mall brands like LOFT etc. If the item isn’t something heavy like shoes, you can ship it yourself and save money. You can charge $6.85 for shipping and ship via USPS Priority Mail using the post office provided mailing envelope. It comes with tracking and $50 worth of insurance. For heavy items (like shoes), it is easier to use the Tradesy provided shipping kit and take the price cut because it’s harder to estimate the shipping cost. If you can, put a disclaimer on your Tradesy closet page that all items come from a smoke and pet free home. Many buyers appreciate knowing what kind of home their items are coming from. Are there benefits from shopping on Tradesy? Many online resale websites come across the problem of not having enough customers. This is usually because the sites have very little incentive for shoppers. Thankfully, Tradesy knows how to treat their customers right. 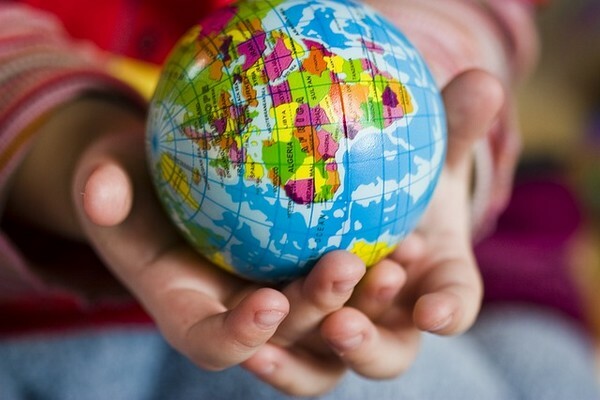 If a buyer or seller has a problem, Tradesy will be available to help at any time. Their customer service is available day and night through both phone and email. Because the site is focused on providing stylish, brand-name merchandise, they protect buyers when they purchase. If a product ended up be a knock off, Tradesy will give refund 100% of the money. A team of authentication experts personally review every returned item. Tradesy is unique in that it allows buyers the option to pick a financing plan. This means that, instead of buying everything all at once, buyers can split their bill into monthly payments. “I’ve bought a Kate Spade bag off of tradesy before. It was my first and only experience with it. The bag was new with tags, as described, and came in good condition. The seller was also really responsive and good with communicating about shipping times and stuff (I never contacted her; she just messaged me to be thorough). I would purchase from Tradesy again, honestly.” Reddit user misosoup122 said. Another benefit of Tradesy is the great deals buyers can get. You can find name brand dresses, which normally sell for $300 and up, for under $100. Even better, new members get $25 off their first purchase of $199. This Shoshanna dress retails for $395 and is available for $78.50. This Madewell dress retails for $110 is on sale for $32.43. This Yumi Kim dress retails for $228 and is available for $89.00. 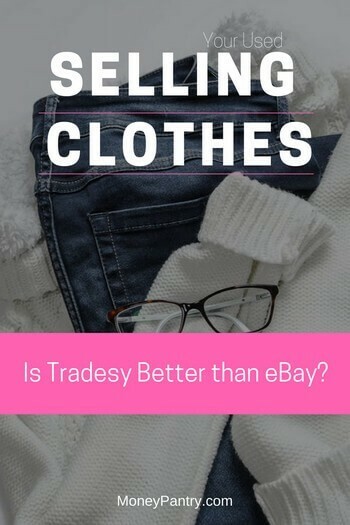 To end this review, I’d say Tradesy is a great resale site that is friendly to both sellers and buyers. So whether you want to buy brand name items for cheap or want to make some quick cash by selling your used clothes, give Tradesy a try.